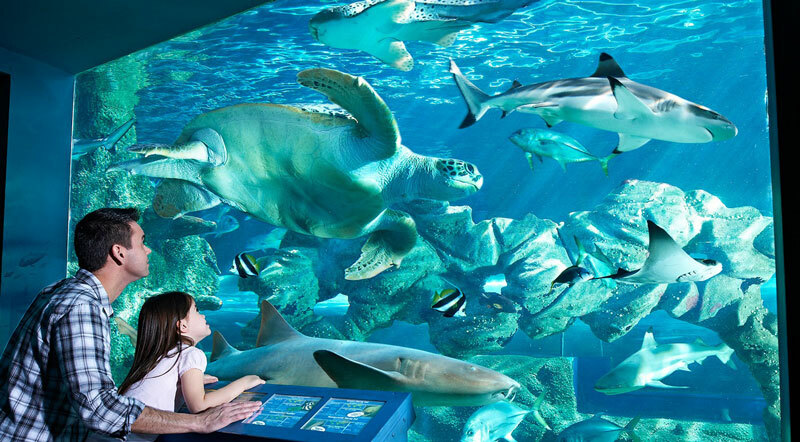 The Oceanarium is an aquarium located on the seafront in Bournemouth, England. It offers visitors a journey around the waters of the world. 10 recreated environments include the Amazon, Key West, the Mediterranean, Abyss, and the Great Barrier Reef.